The first steps toward buying a new home aren't attending open houses and pouring over online listings. The first step toward home ownership is preparing yourself financially for the commitment of buying a home. Speak with your lender or a financial advisor to see what kind of down payment makes sense for your financial situation. One reason lenders require a down payment is that they want to be certain that the borrower is financially invested in the home. In a lender's mind, the larger the down payment, the less likely a buyer is to go into foreclosure on the loan. Down payments may vary by lender and program. A variety of financing options are available from conventional mortgages to government insured FHA and VA loans. A 20 percent down payment is usually the industry standard for a conventional loan. For example, a 20% down payment on a $300,000 home would be $60,000. While this can seem like a lot of money, a significant down payment creates instant equity and the buyer will, in most cases, not be required to purchase private mortgage insurance thus saving money on their monthly payments. A lower down payment of 5 to 10 percent is sometimes possible, but will often require mortgage insurance. Private mortgage insurance, or PMI, will drive up the monthly payment but protects the lender in case of foreclosure. Once the loan to value ratio is 80 percent, you may ask to have it discontinued and the monthly payment will drop accordingly. An FHA loan may allow some buyers to have a down payment as low as 3.5 percent. An FHA loan is a popular choice for potential homeowners who may not have stellar credit or a large enough down payment for a conventional loan. These loans are insured by the government and the borrower will pay mortgage insurance directly to the program. Getting a gift from family or friends. Depending on the kind of loan you are seeking, all or part of the down payment may be able to come from gift money. At a minimum, the gift giver will typically need to provide a gift letter to show that the money is not a loan. The letter should include the donor's address, relationship to the recipient, the dollar amount and date of gift, and the address of the property to be purchased. Depending on the type of loan and borrower's credit score, the donor may also have to provide a bank statement. Move in with friends or family to start saving. If the people in your life have enough space, moving in with them temporarily can allow you to save the money you would normally spend on rent and other monthly expenses. Downsize the home you are searching for or check out other neighborhoods or areas. If your dream house is financially out of reach, work with your real estate agent to find a suitable home in another location or area. A less expensive home means a smaller down payment. 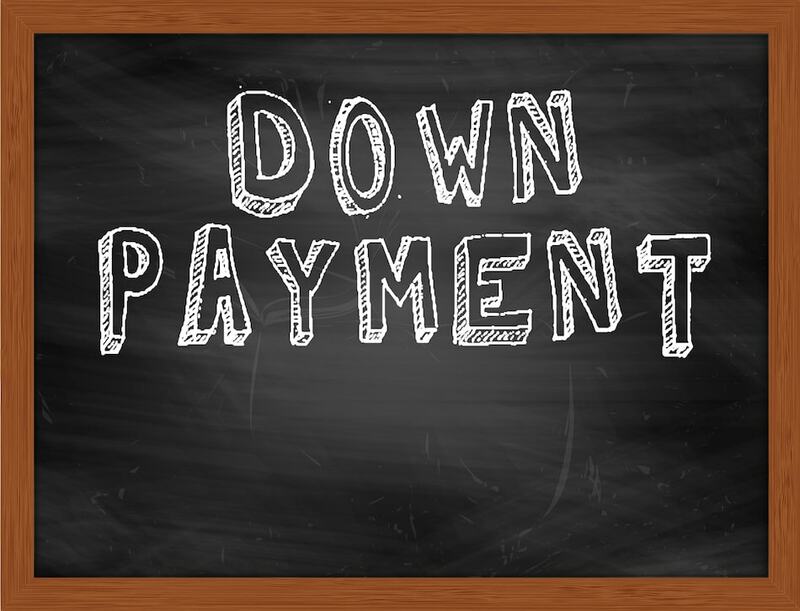 In some cases, down payment assistance may be available through your employer or special programs. Lenders are well versed in these programs and can help prospective homeowners find those that are the best fit for their unique situation. Once you understand where you are financially, you will be able to more effectively narrow down the homes and neighborhoods that will be a great fit for you and your needs.